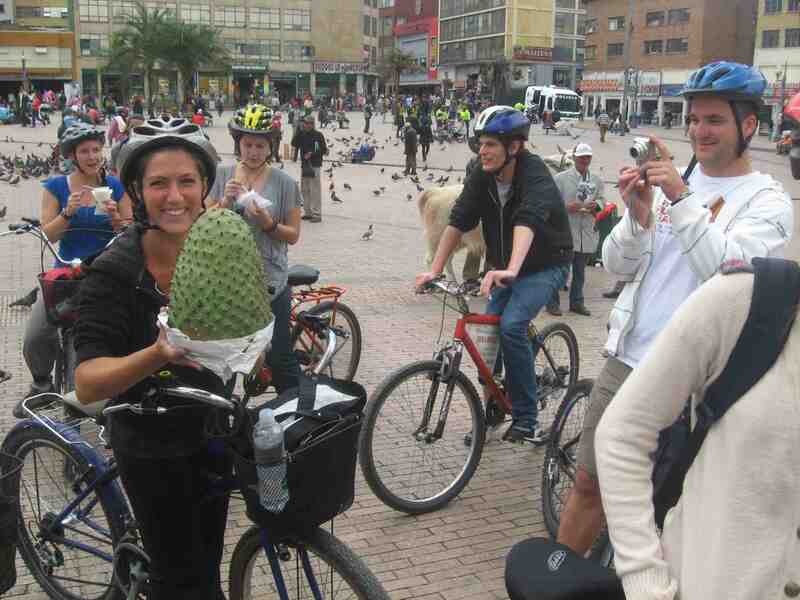 Guanabanas are huge fruits whose juicy pulp is candy sweet which we often taste on our bike tours. 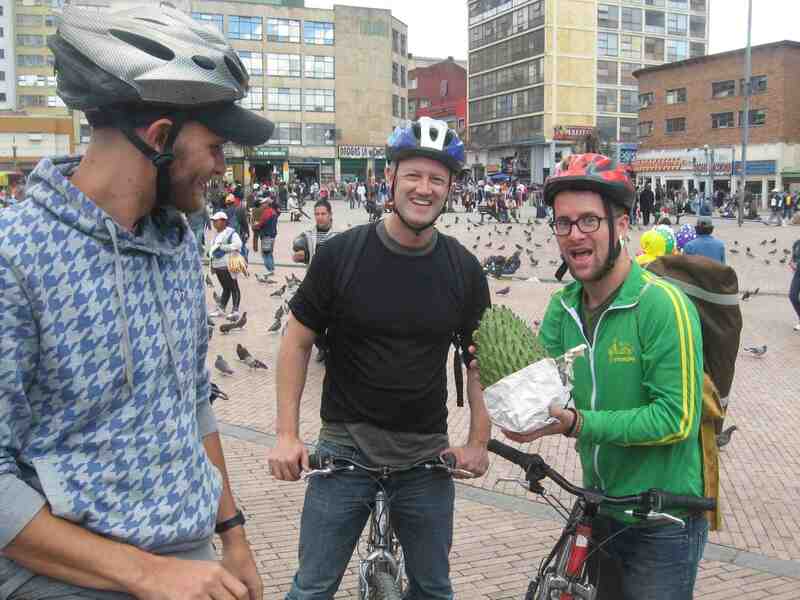 You’ll see people pushing carts across Bogotá plazas with big tubs of white liquid and huge fruits – that’s guanabana! 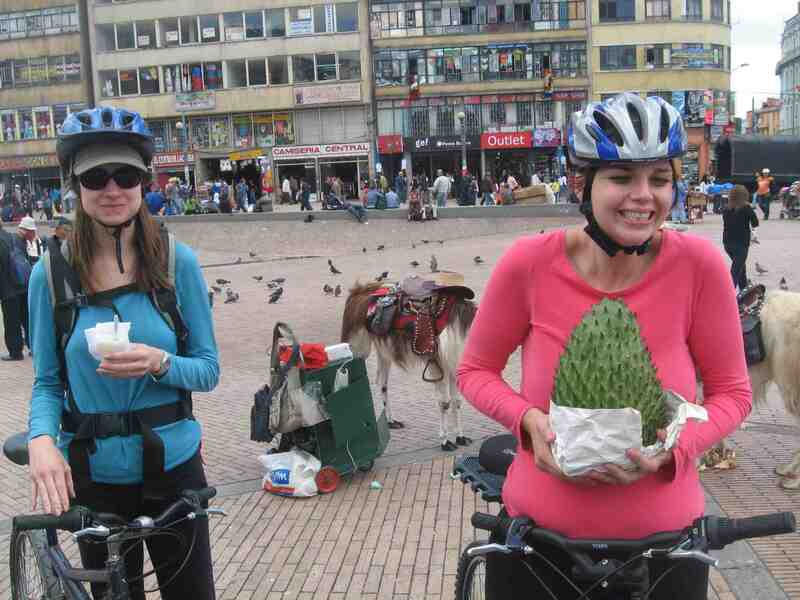 We often taste guanabanas on Plaza San Victorino, just west of La Candelaria.